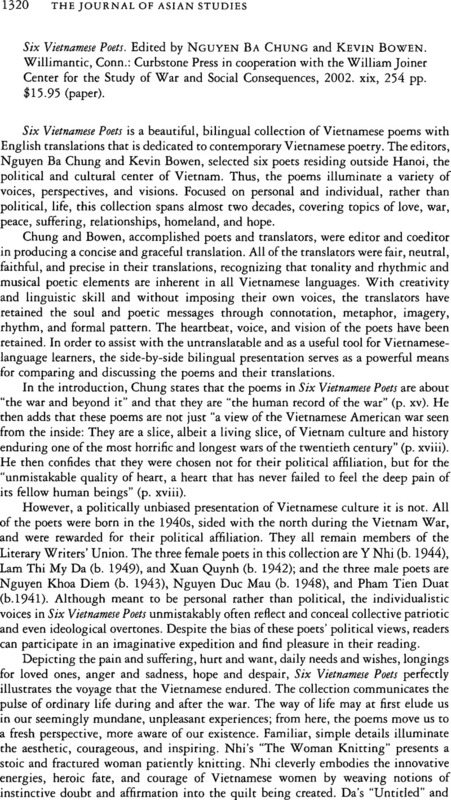 Six Vietnamese Poets. Edited by Nguyen Ba Chung and Kevin Bowen. Willimantic, Conn.: Curbstone Press in cooperation with the William Joiner Center for the Study of War and Social Consequences, 2002. xix, 254 pp. $15.95 (paper).